Digging a Little Deeper Into My Life – The Art Of Realistically Achieving Your Happily Ever After. Thank you so much for taking the time to visit my site. I wanted to dig a little deeper, and get a little more personal about my life. It has always scared me to discuss certain parts of my past, but now I’m seeing the positivity it can bring to others’, which is the reason I starting blogging and sharing stories of my life, and the stories of others’, in hopes that more people can learn or benefit in some way. So here we go. I gave a very brief short and sweet description of me, but there is so much more to my story. Fun Fact: I have a tattoo on my side that states: “We All Have A Story To Tell”. I believe in this statement so much that I have it tattooed on my body. I want to talk about how I got into the position that I’m in today as a Nurse, Wife, Mommy, and Health & Fitness Advocate. I want to share a little about my health background. Almost everyone in my family has high cholesterol, diabetes, and high blood pressure. Unfortunately, I did not beat the odds, and was diagnosed when I was 21 years old with VERY HIGH cholesterol (high 300’s), scary right? Having a doctor put me on medication at 21, because I was at a high risk of having heart issues at an early age, was nothing to mess around with. I tried doing everything “all natural” first, and there was no budge with my blood work. At 21, I tried exercising to lower it and to me this meant a 10 minute walk once a day, or trying to eat healthier, which meant ordering the healthiest thing I could find at Taco Bell because let’s face it, it was CONVENIENT. Now that Im older I can laugh at this because I was just oblivious, and at the time I thought I was rocking it and had everything under control. WRONG. My blood work and symptoms that were beginning showed me differently. I have always been on the smaller end of the percentiles’, I’ve been that way since birth, so being overweight was not the cause, it’s just a mix of family genes and bad luck. After starting college, I began randomly “blacking out” while walking, and even once while driving, my blood pressure was off the charts and I had to be admitted to the hospital multiple times for this. I had to wear a heart monitor 3x during a 6 month period. I was attending a very high stress nursing program, dealing with emotional abuse in a bad relationship, depression/anxiety and health issues all at once. I was in school to learn about health and how to take care of other people, yet I was doing nothing to help myself. I realize now, that I did not handle any of these situations correctly. I was falling apart in every way possible, and a few times truly thought about giving up completely ( you can take this statement as you want). It was the lowest point in my life. Luckily, I was able to gather myself and make healthy changes, mentally, emotionally, physically, and in my overall well being, with the help of people who truly cared. I decided to take action of my life, and not let any one person make me believe I was not worth living it. I decided I was in control of my health, and would not let myself waste away to nothing, have a heart attack in my 20’s or 30’s, or let a foolish man (I think the better word is boy) make me feel like my life was not worth living. It’s upsetting even writing that last sentence because I just can’t imagine my daughter being involved with someone capable of making her feel this way. It’s unacceptable on all levels. I don’t normally talk about this chapter in my life, but if you want to know the real me, this had a huge impact on my life. People who knew me in college, I wouldn’t call them “my friends”, but peers who I saw regularly on campus probably saw a huge change in me in the last couple of years of attending the University. To those of you who judged me, and called me “crazy”, “dramatic”, or whatever other names you came up with, I hope you realize that was not the case, you were very mislead. When someone treats you like a piece of dirt on the ground, talks to you like they don’t care if you jumped off a cliff, and did things to disrespect and belittle you constantly, you really don’t know how to react, especially being young and vulnerable. Instead of someone telling me the truth (which many knew), I guess it was fun to watch me find out the truth the hard way. To watch me hurt, to the point at times I would stop attending my nursing classes because I was in such a low place and surrounded by the situation itself. (I’m SO thankful I didn’t let myself fall out of the program). It still sickens me to this day, looking back. I had no idea how to react, so I’m sorry if I came off “crazy” in your eyes, but if you would like to share the “right” way I shouldve reacted, please feel free to message me personally and let me know. There’s two sides to every story, and I’m sure you only know one. I like to think of myself as always being a genuine person (I am not a saint, I have done things in the past that I regret) but I love deeper than most, and when I put my heart into something, my whole heart is there. When I was dealing with this negative experience and continually had hurtful words thrown at me, and mind games that were played every single day, what did people expect? If you know me personally you know exactly what I’m talking about, you know exactly what I went through. This story is long and drawn out, but ended with me being left at a gas station at 2am, alone, in an unsafe area, knowing I had no cell phone to call anyone. Luckily, after a few hours, I was finally able to use a random persons’ cell phone, and call my friends mom (which luckily I had her number memorized or I would’ve been sitting outside of this gas station all night.) I knew this was the point where I had to stop trying to fix this person and this relationship. I realized my life didn’t matter to him after putting me in a potential dangerous situation. I feel so strange talking about this situation, because I’ve never discussed it with anyone other than a select few. I vividly have this night stuck in my head, and probably always will. It was very unfortunate, but I guess it was my wake up call. So for those of you who judged me, called me names, or didn’t stand up for me during this situation or have the decency of telling me the truth- the joke is on you. You are the type of person who doesn’t stand up for whats right, and thats how you and I differ. When I was in my early 20’s I was not wise enough to know how to handle something so extreme, and had very little support during most of this time. I thought with my heart, and my heart only… and it was destroyed. This affected me for many years, but fortunately, I became wise enough to learn how to handle it, how to react to situations appropriately, and how to love myself again. I can’t tell you how many people tell me “your so quiet”, when first meeting me, or call me “standoffish”, there is a reason for that, and I just told you the reason. I overcame my fear of loving again, and met the most amazing man, the perfect gentleman, the guy who every girl dreams of, (respectful, loyal, hardworking, genuine, and overall just a damn good person). He never gave up on me, as much as I tried to push him away, because I was terrified to let anyone in. He is now my husband (I’m glad I finally got lucky with something, because this caused a chain reaction.) 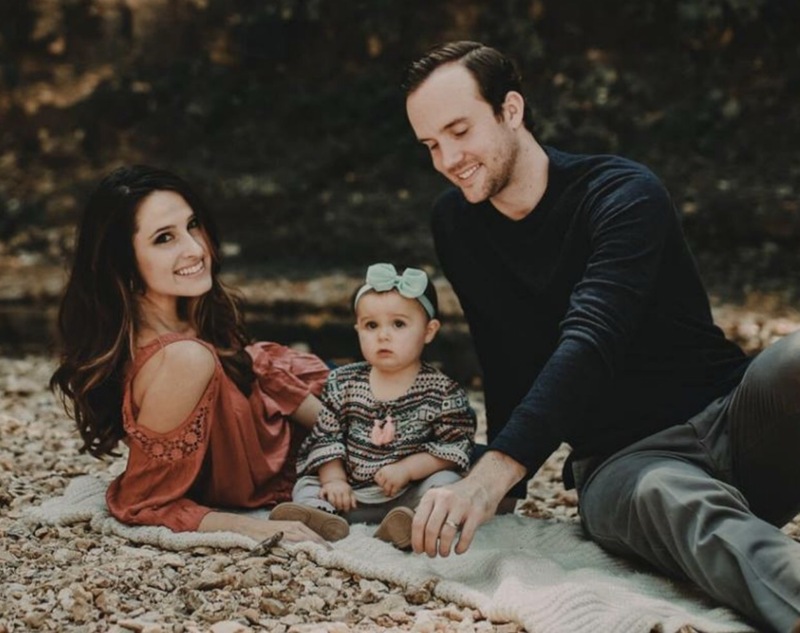 We have created the most beautiful family, I have become very successful in my career, and get to help people every single day, whether at work, or in my free time, and I am finally just happy. I know who to stay away from, and who I want in my life. I’ve gained knowledge, and have become wiser. An update on my health, I found an amazing health and fitness program that fits my life perfectly. Its amazing for people who are busy, as well as those who have more time on their hands. I do all my excerising from home now (how convenient right?) 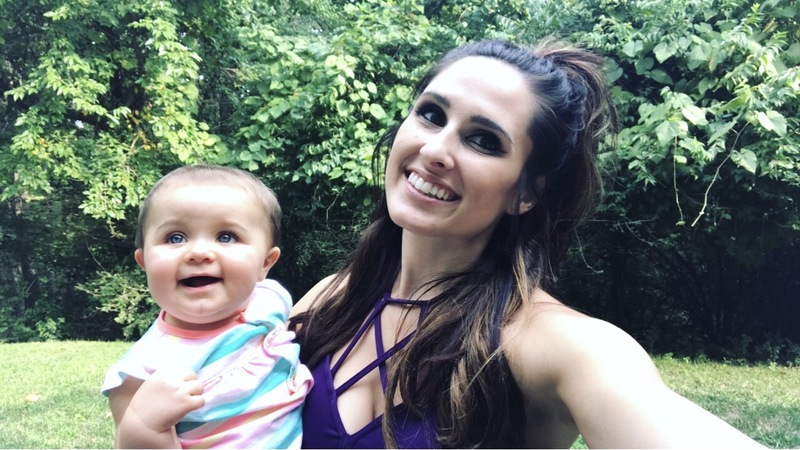 I’ve learned healthy eating habits, and have made huge adjustments in my diet, ensuring that my health is in tip top shape for myself, my husband and my sweet baby girl. My cholesterol has even gone down since starting this program, so no more medication! I can now talk to people who have gone through situations similar to mine, and can give them hope that they will and can get through it. Life is not easy, that is something I’ve learned, but the life you create for yourself is the most amazing thing in the world, it is what you make it. Soak up every second, because we only get one chance. Take experiences as lessons learned, be a good person, do things that make you happy, be passionate, stand up for what you believe in, help others, and to me, that is a successful life.